In addition to first-rate singers, actors and dancers, we are looking for talented youngsters (ages 8-15) to play the Lead Roles of Oliver and the Artful Dodger, as well as a group of close to 20 orphans, Fagin’s gang, and Londoners. For further details, please contact robert@encore-etc.com or call (02) 673-1512. Wednesday, 8 January, 5:00 p.m. – 8:00 p.m.
Thursday, 9 January, 7:00 p.m. – 10:00 p.m.
Don’t miss this opportunity to be part of the musical theatre’s golden highlights! 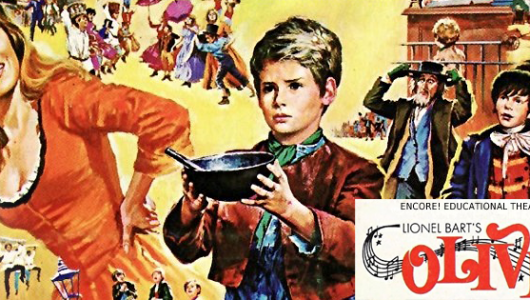 “More?” Yes, more for young Oliver, the hungry orphan who dares to ask for more gruel, and more for folks who flock to Encore’s production of Oliver! that is scheduled for the Hirsch Theatre, Beit Shmuel, Jerusalem from 19-29 May 2014. More of the most popular songs ever written for the West End stage, more of the immortal characters created by Charles Dickens, more of the atmosphere of early Victorian England, and more of the jolliest, dramatic, and moving musical performances delivered by Encore’s outstanding cast. Join the incredible fun and fancy of the show and “consider yourself” one of us by joining for the company of Oliver!